Surrounded by the Gulf of Mexico to the west, Tampa Bay and Anna Maria Sound to the east and Sarasota Bay to the south, Anna Maria Island is a truly unparalleled community where soft breezes, white sand beaches and crystal clear waters make everyday feel like a vacation. Whether you’re looking for a second home or a primary residence, Anna Maria Island Real Estate HOMES offers something for buyers and budgets of all types. Thanks to its friendly, easy-going residents and laid-back tropical lifestyle, more than 8,500 residents inhabit this seven and one-half mile long island paradise. Throughout Anna Maria Island, narrow winding streets meander through lush tropical growth and a mixture of both contemporary and historic buildings. You’ll find that Anna Maria Island Real Estate HOMEs ranges from traditional beach bungalows to luxurious custom estates, spacious Anna Maria Island waterfront homes, low-maintenance condominiums, and a mixture of rental properties and full-time residences. No matter what your preference – whether you’d like to explore Anna Maria in the north, Holmes Beach at the mid-island, or Bradenton Beach to the south – each of these villages have their own character and draws for residents. The Anna Maria Island Club: A Gulf front condominium complex on Bradenton Beach, which offers a heated pool, tennis courts, spa and private beach. Open-air balconies offer spectacular panoramic views of the Gulf and beaches. 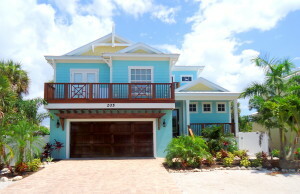 The Bermuda Bay Club: A collection of spacious Key West style townhomes with open balconies and garages on Bradenton Beach. Here you can walk to the fishing pier and enjoy the Gulf Drive Cafe© Tiki Bar and Restaurant that is just across the street. Key Royale: Originally known as School Key, this area remained uninhabited until 1960 when a bridge was built from Holmes Beach to Key Royale. Today, this is an upscale boating community offering the only golf club on the island. Almost all of the luxurious homes here offer deep-water canals. 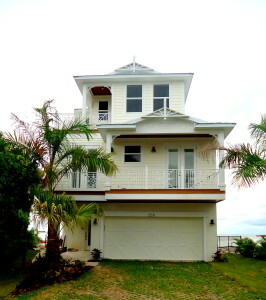 La Casa Costiera: This is a luxury Mediterranean style community of Gulf front condominiums on Holmes Beach. Amenities include a pool, spa, gated entrance, private elevator, two parking spaces, and spectacular Gulf of Mexico views from all units. The Martinique (North and South): Located in Holmes Beach on the Beach. These two buildings are Anna Maria Island’s first seven story high rise built in 1973. Martinique North is comprised of 60 Gulf front condos that include 1b,2b and 3b units. Martinique South is comprised of 48 Gulf front units that have 1b and 2b units. These are just a few of the many wonderful communities that can be found throughout Anna Maria Island. 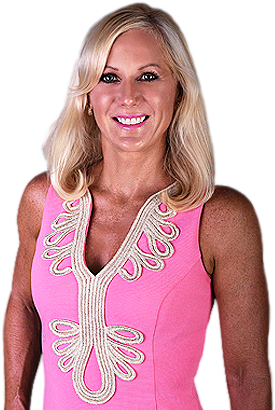 When you choose to partner with Anna Maria Island Realtors such as myself, Cindy Quinn, you can rest assured knowing that you will find the ideal location, whether for your primary home or vacation retreat. 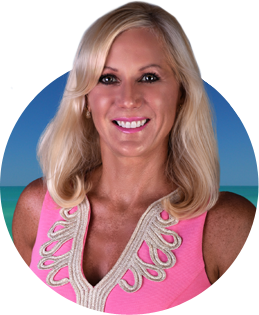 When you’re ready to explore the Anna Maria Island Real Estate HOMES currently available to you, I welcome you to browse my website and to use it’s state-of-the-art search capabilities. Should you have any questions or would like to take a tour of any of the properties you see here, I am always just a phone call or email away. Connect today to get started!